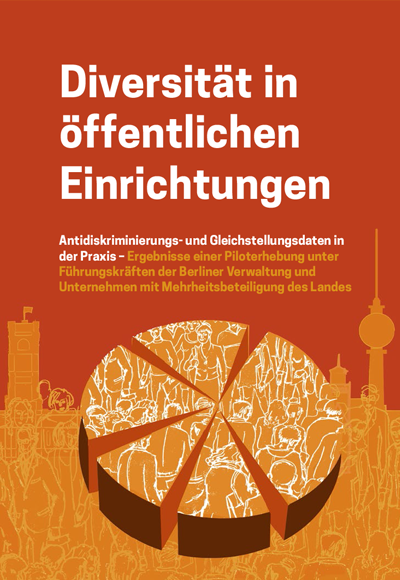 In 2017, the Vielfalt entscheidet – Diversity in Leadership team carried out the present survey of equality data in Berlin's public institutions. The study was developed and implemented under the scientific guidance of the Berlin Institute for Integration and Migration Research (BIM, Humboldt University). The results show how diverse the management positions are and which strategies and measures to promote diversity and equal opportunities are already being implemented in the Berlin administration and where managers see a further need to become active. 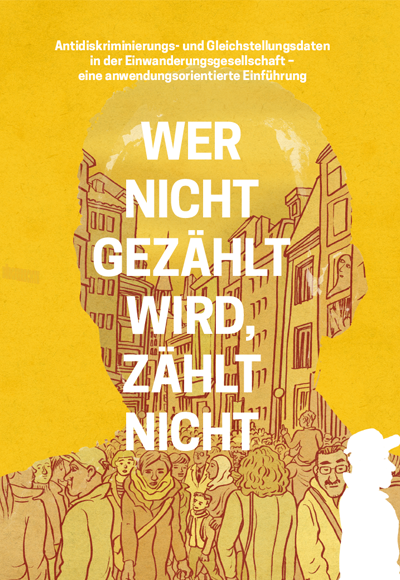 This publication was produced by our team Vielfalt entscheidet – Diversity in Leadership. It answers basic questions about anti-discrimination and equality data. The term equality data can be very broad and basically describes all qualitative and quantitative data and information that are helpful to describe the status quo of equality and to make discrimination transparent in all dimensions of discrimination. 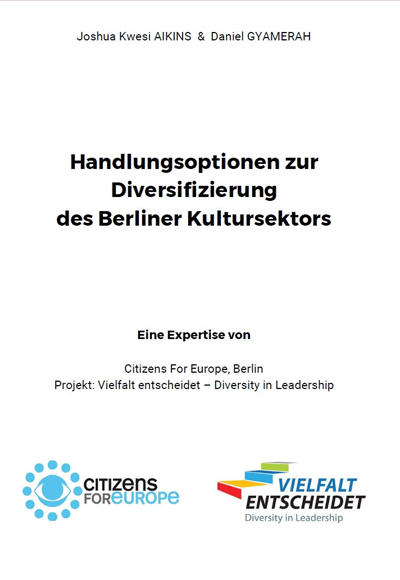 The present expertise shows how existing control instruments for the diversification of the Berlin's cultural sector can be better used. Relevant examples from Hamburg and Great Britain will be presented in a detailed presentation of concrete options for action. For the promotion of diversity, target-oriented interactions between politicians, administrators and Cultural institutions are highlighted. To this end, clear guidelines, concrete measures as well as formulation proposals for the coalition agreement for the 2016 - 2021 legislative period are presented. Anti-discrimination and equality data help to make structural discrimination visible on an institutional, cultural and individual level in order to be able to actively counteract it through promotional measures and, in particular, to reduce institutional racism, (hetero-/cis-)sexism and discrimination (against people with disabilities) etc. 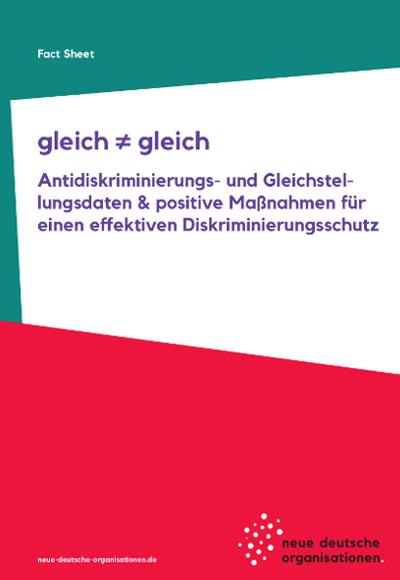 This factsheet from neue deutsche organisation was produced in partnership with our project "Vielfalt entscheidet - Diversity in Leadership". 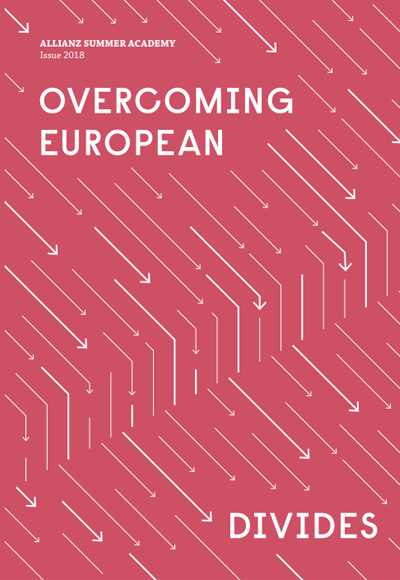 Since 2014, we have been publishing Allianz Summer Academy, in which controversial European issues are discussed from the perspective of young students from well-known universities and civil society organisations. 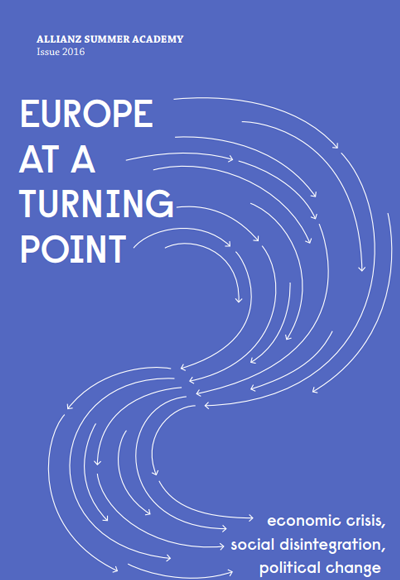 Their analyses and conclusions on the political explanations for euroscepticism; the fight against poverty and the perspectives for a collective European social security strategy; the relevance of unemployment for the future of European societies; the patterns of cooperation and division in the fight against terrorism at the European level and the reconciliation of generational perceptions for the revival of the European project are reflected in this issue. 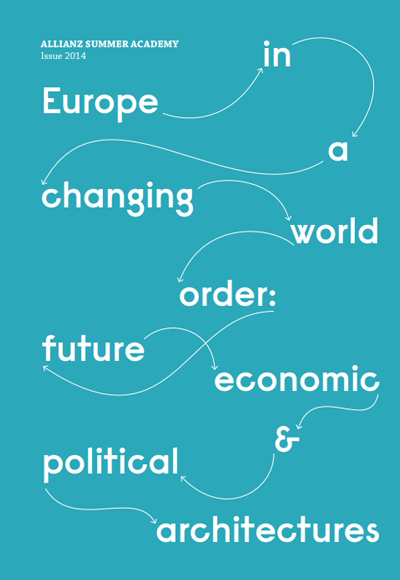 Since 2014, we have been publishing Allianz Summer Academy, in which controversial European issues are discussed from the perspective of young students from well-known universities and civil society organizations. In this issue, you’ll find their diagnoses of and solutions to the current alienation between the EU and its citizens, the risks and incoherencies of EU asylum policy, the causes and consequences of the European financial crisis, the future of the EU social agenda and the challenges ahead for European youth policy and youth dynamics. Since 2014, we have been publishing Allianz Summer Academy, in which controversial European issues are discussed from the perspective of young students from well-known universities and civil society organizations. Their questions and answers relating to energy security and sustainable use of energy resources, reformed economic and financial architectures, a fairer world trade system and a generally more efficient crisis management are reflected in the papers presented in this issue. In this issue of Open Citizenship, we investigate how citizenship is being redefined at the local level: in cities. 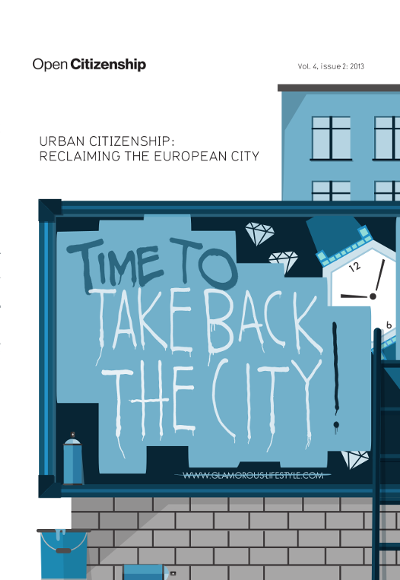 The authors argue that urban citizenship presents a new model for participation and inclusion of minority and disadvantaged groups that can revitalise democratic processes throughout Europe. Our authors show numerous ways that citizens are actively working to reshape their cities to meet their needs: through new forms of engagement with the city and fellow inhabitants, local projects to revitalise abandoned spaces and modes of participation that include migrants, the LGBTQ community and the disabled. 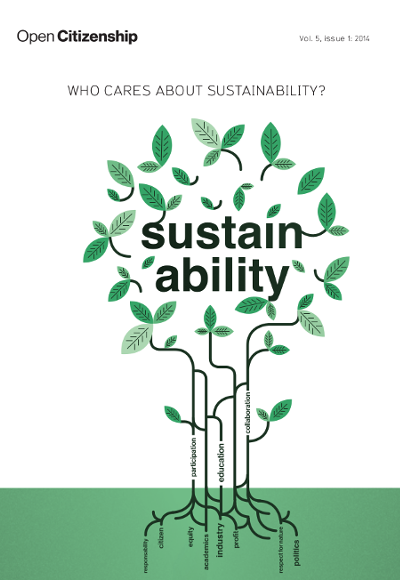 In this issue of Open Citizenship “Who Cares About Sustainability?”, we investigate what sustainability means in the European context, and how current debates within sustainability can address European challenges, particularly when linked to citizen action. The authors in this issue argue that sustainability challenges current political arrangements and discourses, which limit citizenship involvement in decision-making. The articles also describe ways in which sustainability is central to participation and dialogue in our political systems and can lead to greater justice and social equity when considered as a political process, not merely a political aim. 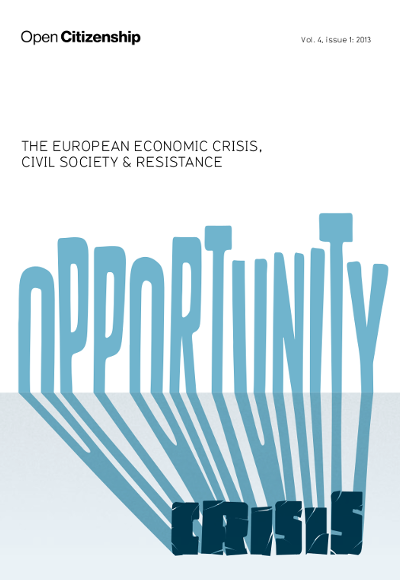 Civil society should view the on-going economic crisis in Europe as a window of opportunity. To do what? For our authors, it’s an opportunity to advocate financial regulation with teeth, to strengthen a European identity, to experiment with alternative forms of governance or to formulate a coherent, communicable vision for the European project.